First up, here’s a short-term play for the day traders out there! 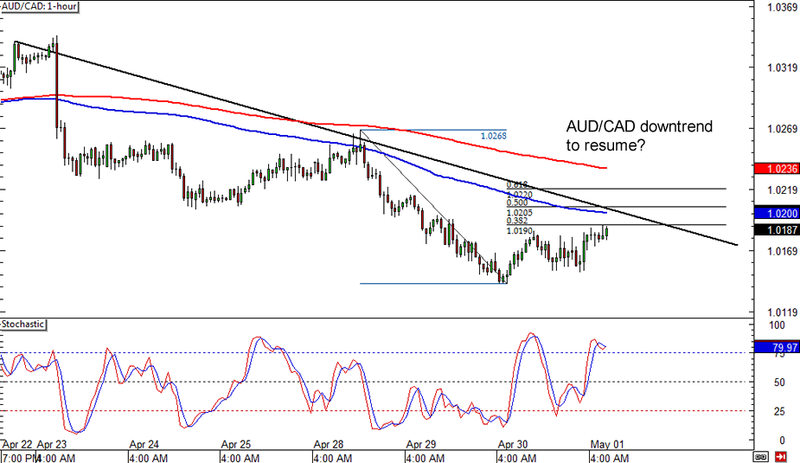 AUD/CAD appears ready to form a falling trend line on its 1-hour forex time frame, as it gears up to test the 100 SMA and the 50% Fibonacci retracement level. As luck would have it, the 50% Fib level lines up with the 1.0200 major psychological handle, which means that it could be a pretty solid resistance zone. Stochastic is already indicating overbought conditions, which means that sellers are ready to jump in anytime soon. If you like keepin’ it simple with a forex range play, then you should definitely look at this setup on AUD/NZD’s 4-hour chart. The pair just came off a test of resistance at the 1.0900 major psychological level and could be headed south until the bottom of the range, which is near the 1.0550 minor psychological support. Be careful though! Stochastic has just reached the oversold mark, suggesting that sellers are exhausted. 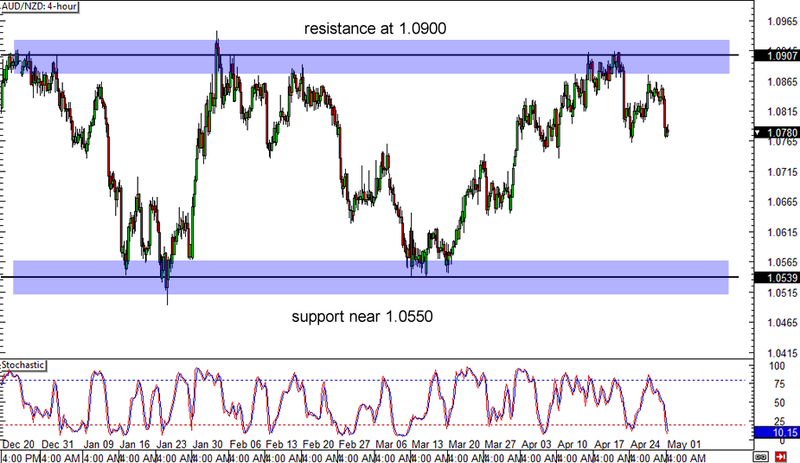 A strong break below the near-term support at 1.0750 could mean that Aussie bears are still in control. Aussie bulls, unite! 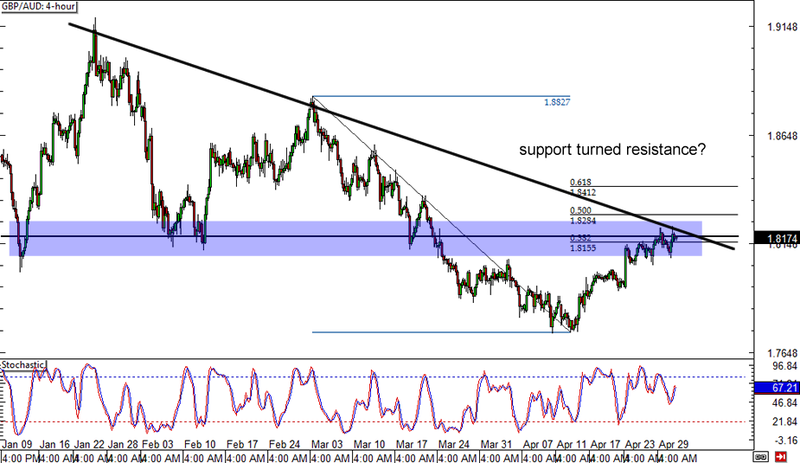 This GBP/AUD setup could be your chance to buy the Australian dollar since the pair is already testing the falling trend line and area of interest at the 1.8200 area. This is in line with the 38.2% Fibonacci retracement and, with stochastic moving down from the overbought zone, it could hold as resistance moving forward. If you’re planning to short, make sure you set your stop above the trend line and aim for the previous lows!